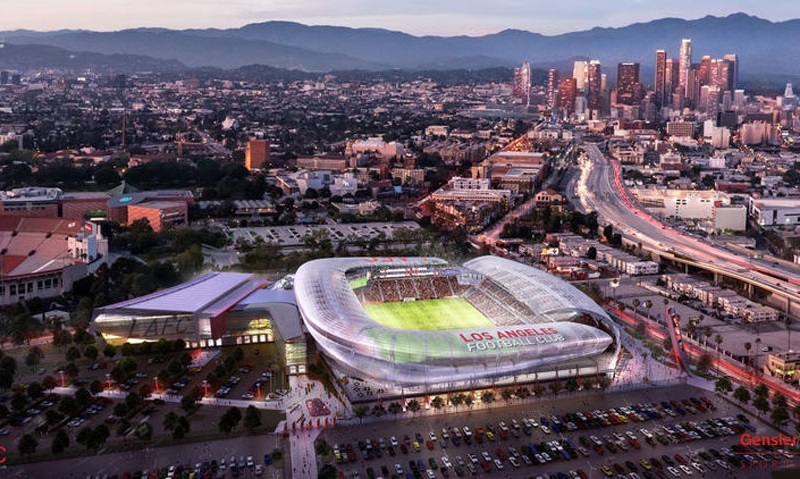 TLC Creative added an exciting reveal to a major press event in Los Angeles this week; unveiling the image of a brand new, soccer-specific stadium five miles south of downtown LA. 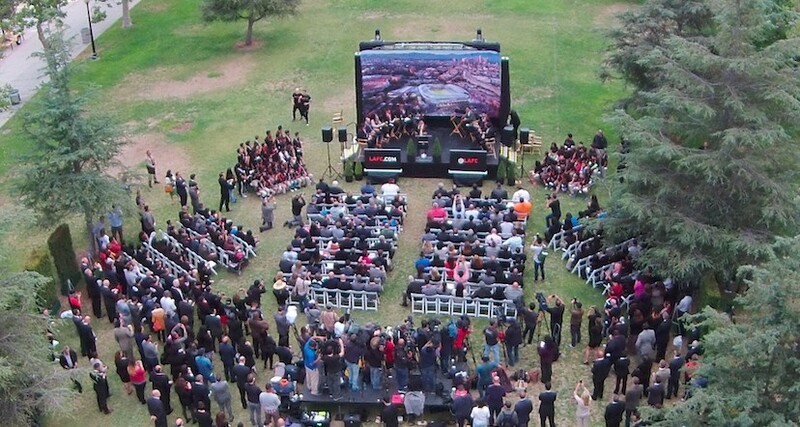 The TLC reveal built up anticipation by cloaking a display and then dramatically dropping it away to reveal the image of the new stadium, to be situated at the site of the old LA Sports Arena. New drone aerial cameras from TLC Creative provided aerial views of the event. 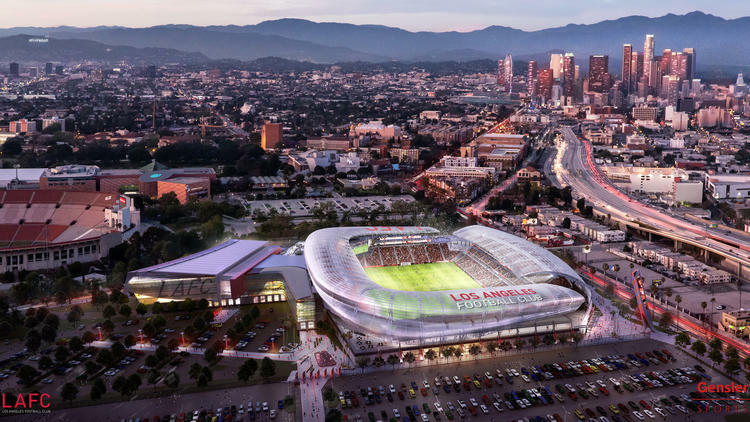 The Los Angeles Football Club plans to construct a privately financed soccer stadium on the site of the Sports Arena in Exposition Park, and the exciting press event, was the official announcement of the project that includes the development group with Magic Johnson. The new soccer stadium was designed by Gensler, a Los Angeles-based architectural firm that recently renovated FirstEnergy Stadium in Cleveland and helped plan Sao Paulo’s Arena Corinthians, which hosted the opening match of last summer’s World Cup. TLC is creating amazing REVEALS all over, with recent REVEAL shows for Davita, and more. TLC Creative provides kabuki drops, pull-aways and drops, fog bursts with other live special effects, combined to create reveals of products, people, or graphics. The anticipation and delivery of the thrilling moment is a specialty of the long-running Los Angeles based technical production company. 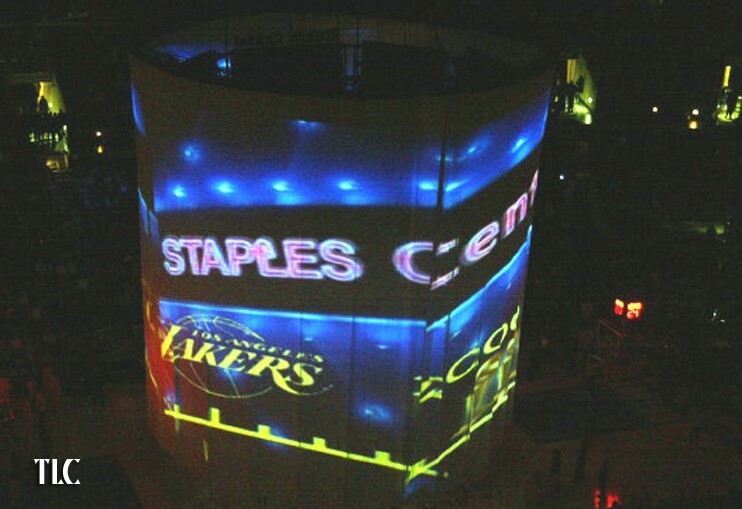 Well-known for producing live effects and events for corporate and private events, and television and movies, and for the famous drop-screen 360 video show that TLC designed for the Los Angeles Lakers. TLC provides flying drone camera services and is busy pioneering great new ways to energize event goers with live aerial views of special events. Contact TLC regarding aerial cameras and for reveals and live special effects, including lasers and new interactive LED products. TLC Creative provides LED shows and services, as well as live special effects, such as lasers, video projection effects and reveals, and more. TLC provides new ideas and new ways to create moments at events and shows that engage and inspire as well as entertain. Call TLC for event ideas for your upcoming events.